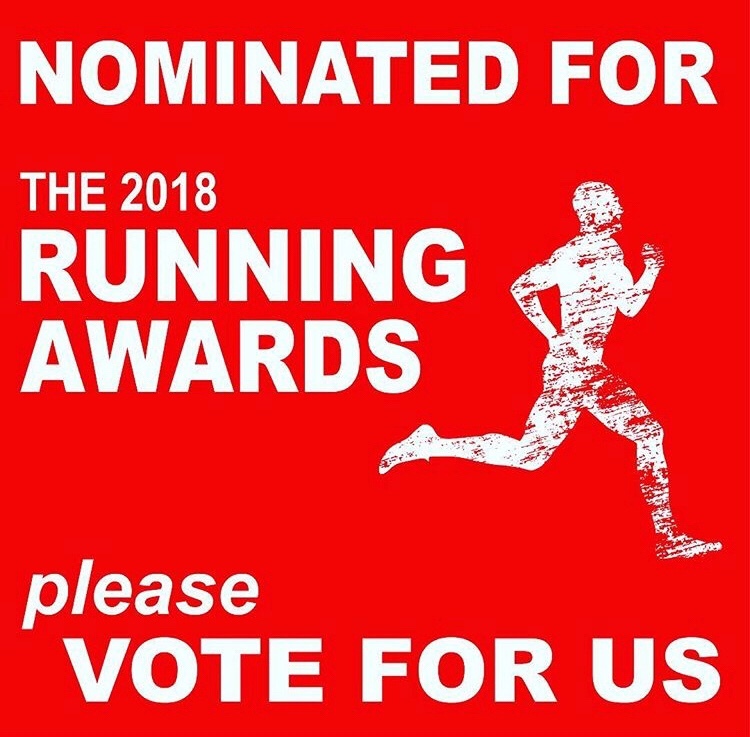 I’d heard about The Running Awards before. Like most things running when you first hear about it, you have little knowledge about it, & it peaks your interest to learn more so in 2016 I wanted to go & check it out. I FaceTimed Scott Reynolds & we got a balcony seat ticket & watched the VIP diners below enjoying their 3 course meal whilst the awards were announced. 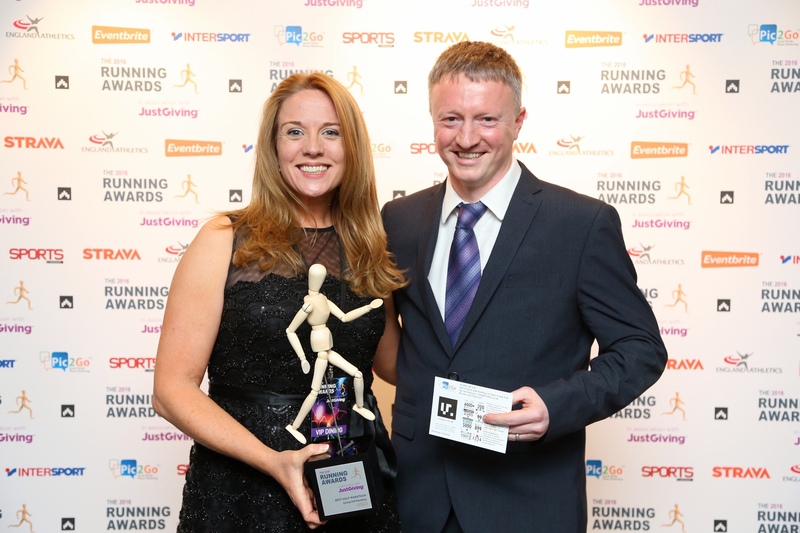 I must admit The Running Awards all looked pretty glamorous & I secretly wished I was a finalist & eating dinner in my finest bib & Tucker. It was a fab night & I saw how the awards worked & saw the amazing wooden running man trophy on offer that year. That’s Sandra Courtney one of the organisers of the Ealing Half Marathon who I met that night. They won their third consecutive award for Best Half Marathon. Sandra was amazing & offered me a free place in the 2016 Ealing Half to come & make a video about the race for my YouTube channel. My YouTube channel was in it’s infancy for the 2017 Awards & although those of you who are early subscribers to my channel are all awesome there simply wasn’t enough of you for me to rally enough votes to advance. I was up against some massive written blogs with thousands of readers & I did not progress through to the final. If at first you don’t succeed, try again right. Nominations for the 2018 Awards opened again on 21st September 2017 & I was nominated again & around that time I started posting on Facebook, Twitter & Instagram asking for votes in the Best Blog category. I also posted This video on YouTube & my ‘campaign’ began ? However I don’t recall pushing it really hard this stage as I could see although my audience had grown, once again I was up against these professional blogs with massive followings & honestly didn’t believe I had any chance of making the final, let alone the podium. After an initial flurry of excitement I kind of forgot about it, & didn’t plug it much more. 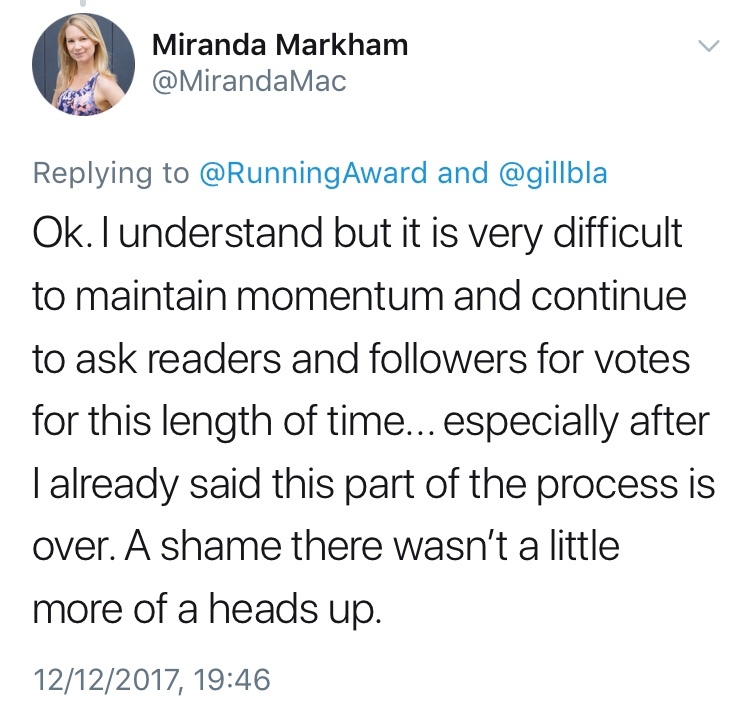 Voting was due to ‘pause’ on 6th December & the top 12 at that stage would advance to the shortlist, essentially the final. 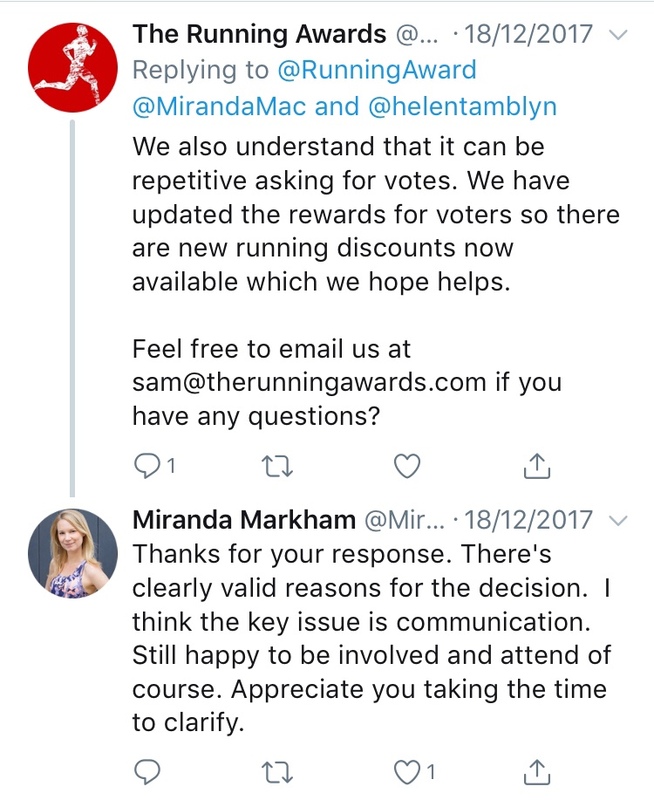 All blogger entrants had been tweeting & posting asking for votes & to do this from September – December is quite a long time to keep asking your followers for something on your social channels without essentially annoying all of your them. 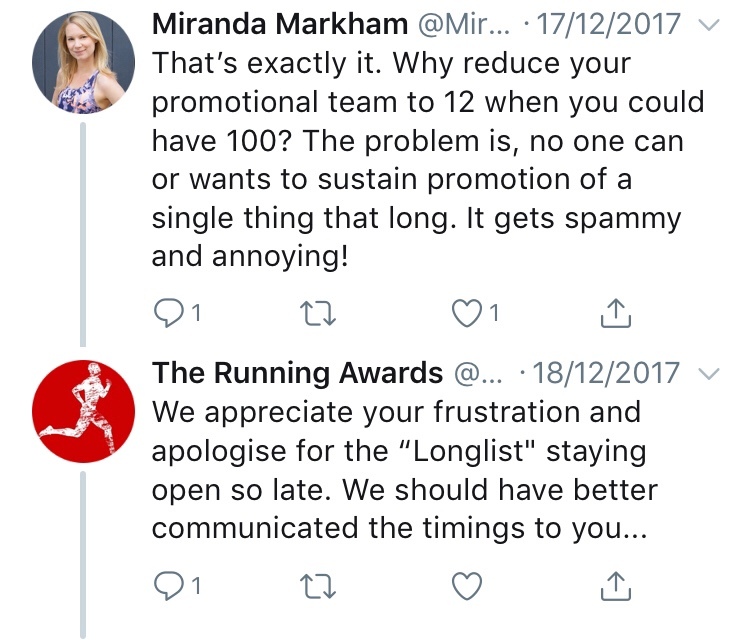 However despite clearly advertising the dates as above & tweeting about the advertised dates real time… the running awards moved the goal posts & the longlist would continue for even longer. 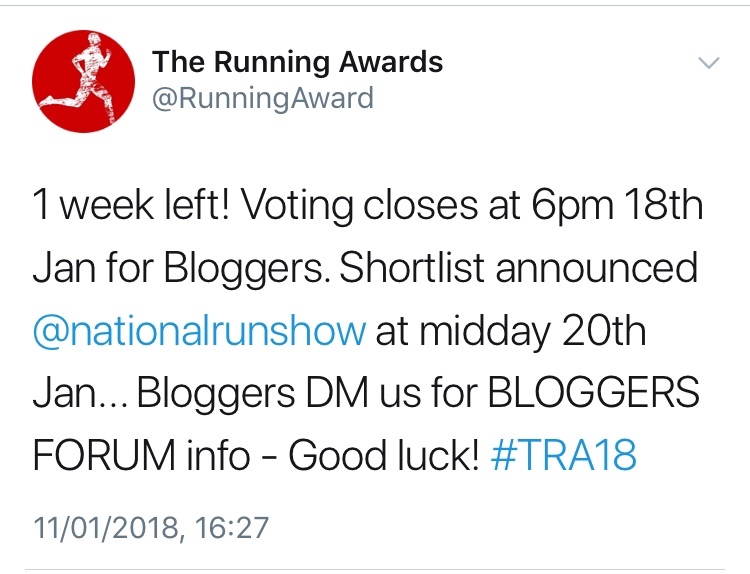 Linking in with the National Running Show for a big reveal would clearly encourage more bloggers to go to the National Running Show to see if they’d made the cut. Bloggers would tell their followers they were going & in some cases followers of blogs would go along too for a chance to meet the blogger they like reading about. 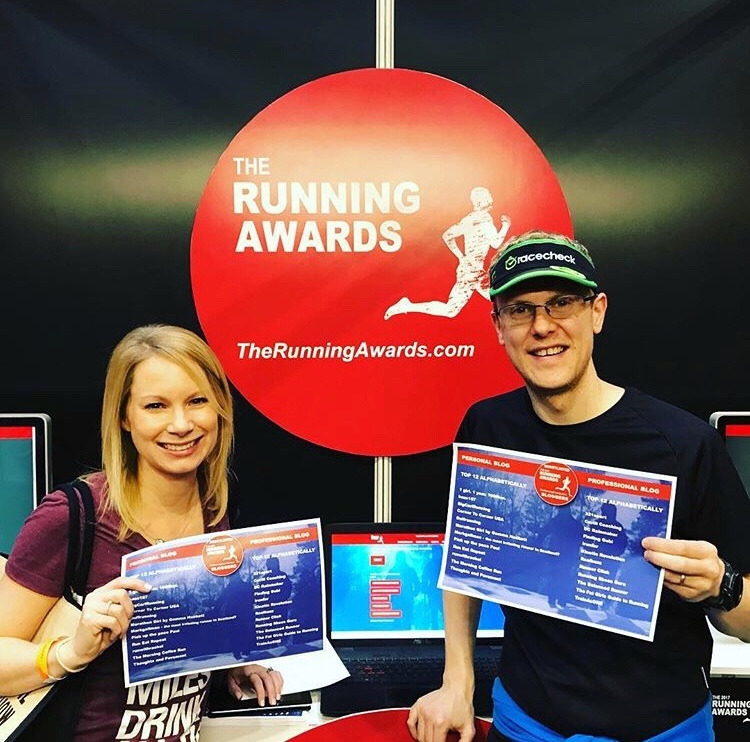 The National Running show would benefit from the extra ticket sales & a buzz would be created around the Running Awards amongst the Running blogger community. 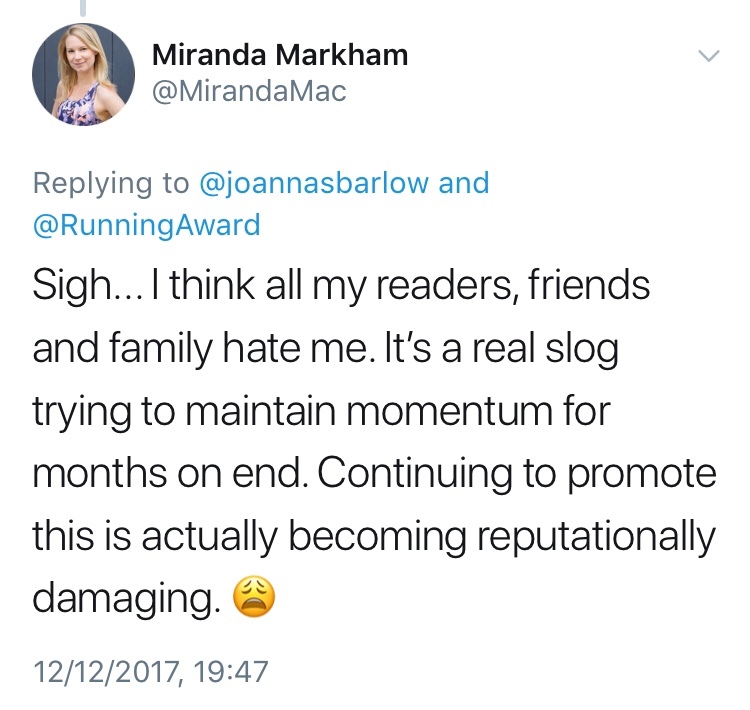 I have absolutely no issue in them doing that, it makes sense & is good for business & a good PR & marketing strategy but I do wish they’d been transparent about it all from the outset & not changed their minds mid process because it caused some confusion. 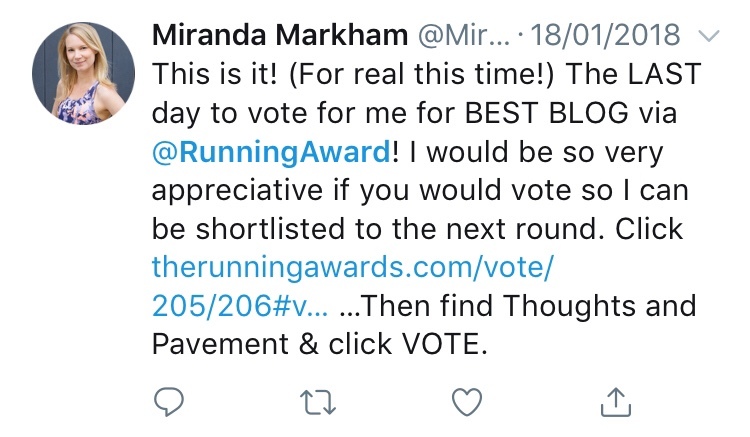 fellow entrant Thoughts & Pavement – Miranda Markham took to Twitter to air her thoughts. Anyway the ‘longlist’ continued but it finally concluded in January. 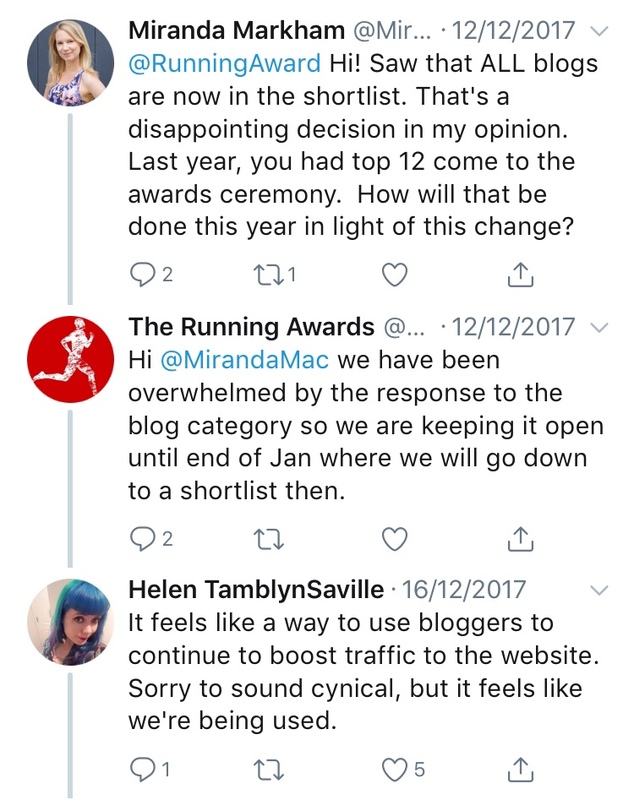 Like I said I’d about given up any hope of being shortlisted & I hadn’t pushed it as much as others & felt there were lots of huge running blogs that would ironically ‘Walk it’ anyway. 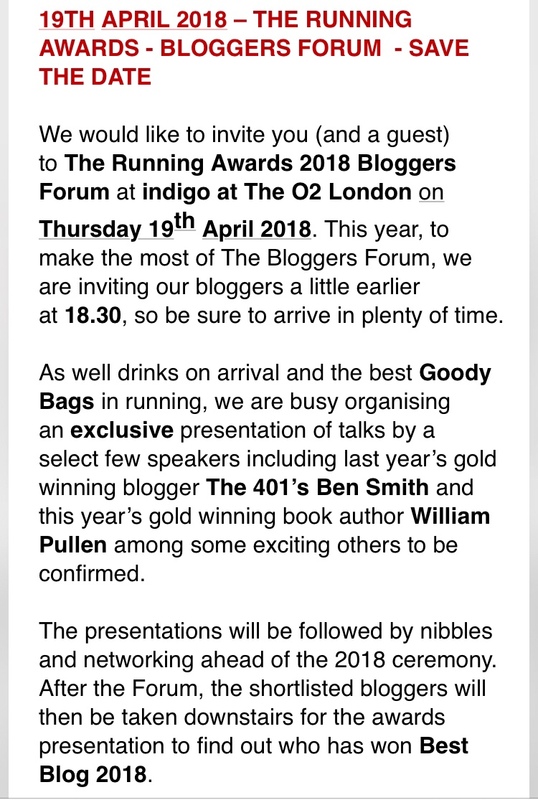 This was great news, it meant that all bloggers who were nominated could come along to the awards night & made it far more inclusive, & there were some great speakers. 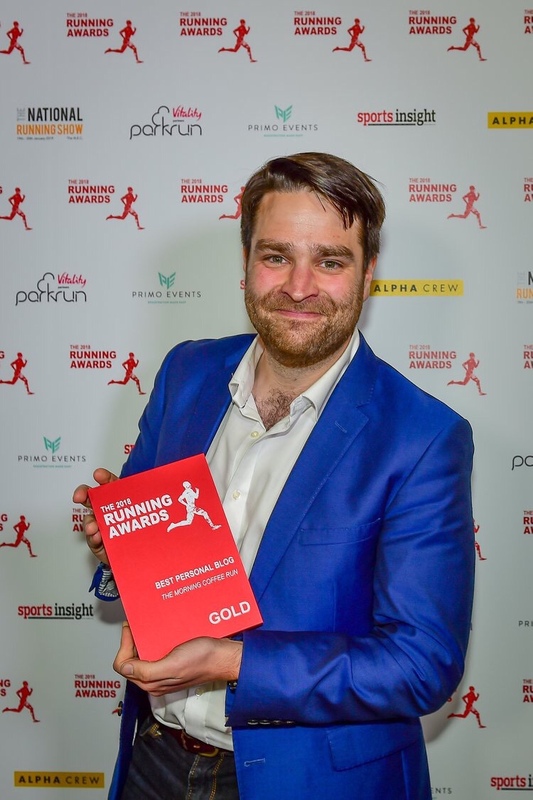 I’d met Ben Smith only days prior to the email at the Tow Path ChallengeI was an Ambassador for The National Running Show & I would have been going anyway. 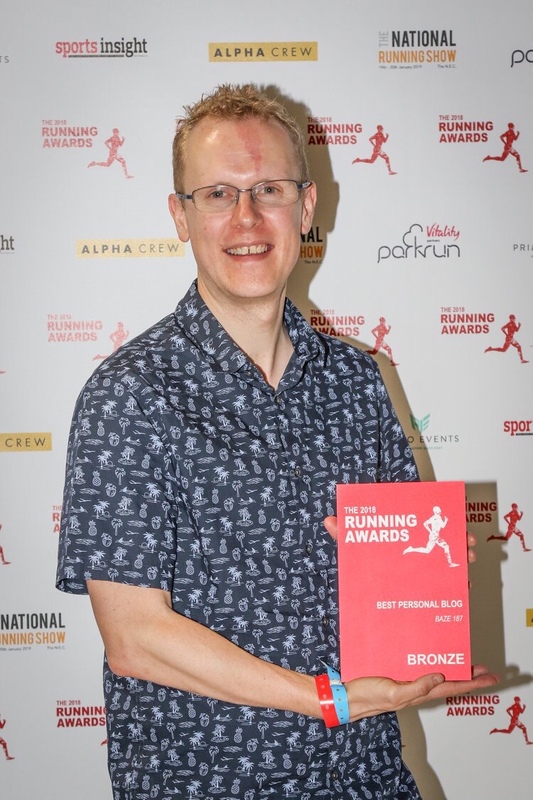 I turned up at the Running Awards stand at the appointed time & eagerly awaited the shortlist announcement. Would I have made the shortlist on an outside chance? The shortlist was announced by handing out an A4 sheet to everyone present. I know Miranda anyway having met previously at The Shine Walk, we received our cards together. I read down the left hand side & BOOM there it was baze187 listed there as a finalist. I was absolutely overwhelmed with excitement & couldn’t believe I’d advanced ahead of some of these larger blogs. However once this settled down on closer inspection it became apparent that there were now two different categories, a personal blog final of 12 & a professional blog final of 12. 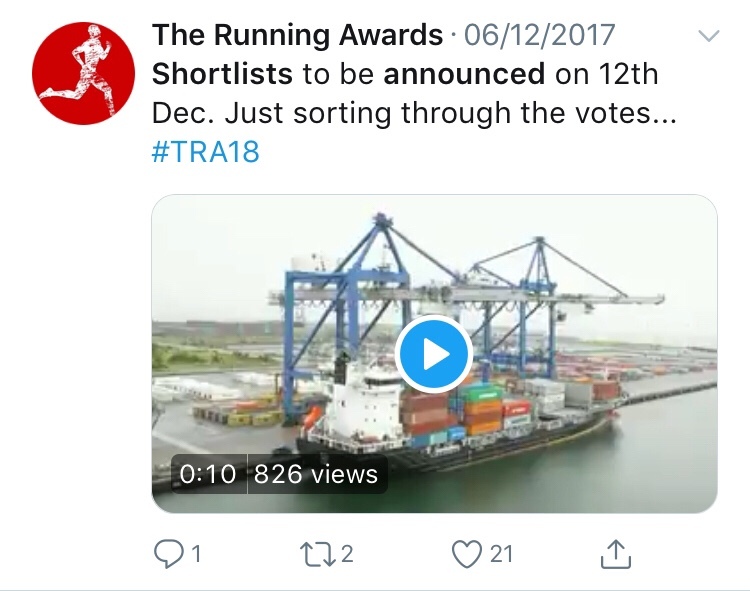 My Vlog of the National Running Show covers the shortlist announcement & it’s clear none of us can contain our excitement about being shortlisted. I genuinely thank everyone who voted for me in this first round of voting & helped get me to the final shortlist you’re all brilliant I was even allowed to use this fancy digital badge. Once the shortlist was announced voting reopened for the finalists to gain more votes in a second round of voting until 15th March. Now I was in the final I really went for it, I figured if I was going to do it, then I should do it properly so I used all means at my disposal to try & rally votes & I maybe harassed you a little. I haven’t heard from the police yet so luckily I wasn’t quite pushy enough to cross the line ? 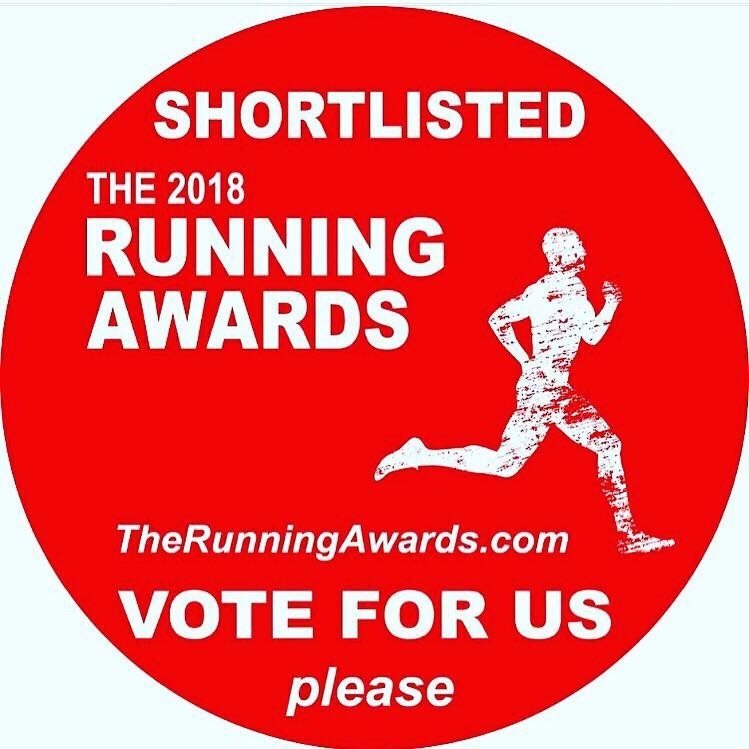 When the voting finally closed in March I was really happy to be on the shortlist, I was really looking forward to the Bloggers Forum & Awards Night, & basically having a good night out in London with my wife & running friends, I had no expectation to win anything. The Awards night was great & the Bloggers Forum opened with a talk from Ben Smith followed by many other speakers. A huge huge thank you to each & everyone of you who voted for me, without my audience I would have no one to write or make videos for & I certainly would not have picked up an award so thank you so much to all of you, this Award belongs to all of us. You’re all amazing. 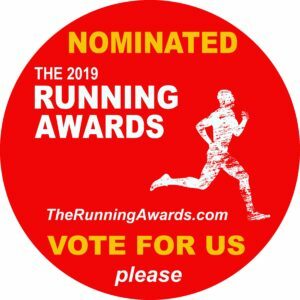 I’ve been nominated again for the best blog at the Running Awards 2019 so if you like the content I produce please do click this button and vote for baze187 in the best blog category to see if I can make it silver or better this year. Thanks for your support.